While I certainly enjoy fun, light-hearted comics, I’m always down for stories that have a strong emotional core at the center. That’s how Oni Press’ Ghost Hog looks to be shaping up, with a pleasing, simple visual aesthetic that will be used to tell a story of loss, grief, and forgiveness. A sampler with two brand new stories will be available as part of Oni’s Free Comic Book Day offerings, and what’s more, writer and artist Joey Weiser will be doing some promotional work after the graphic novel releases. PORTLAND, OR., April 15, 2019 — The tale of Ghost Hog by Joey Weiser (Mermin), coming to bookstores May 7th, deftly navigates loss, vengeance, and acceptance. 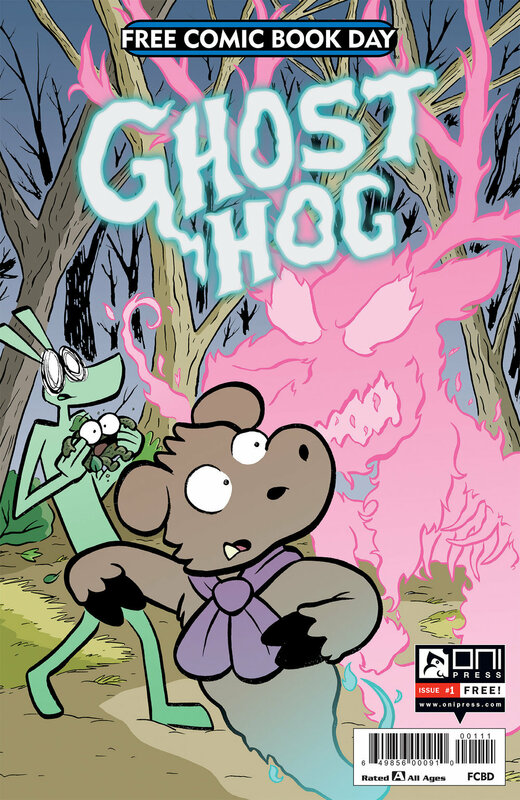 In December, Oni Press announced Ghost Hog as the 2019 Free Comic Book Day Silver Offering, which will feature two all-new stories about Truff, and is available at participating comic shops on May 5, 2019! Joey Weiser will be in attendance at TCAF, May 11-12th. He will also be celebrating the release of the Ghost Hog original graphic novel with a signing at Avid Bookshop (493 Prince Ave, Athens, GA) on Saturday, May 18th, 6:30-7:30pm. Ghost Hog will hit bookstores on May 7. Jul 18 Oni Press to release special 15th-anniversary editions of "Scott Pilgrim"